In the preparation of this work the aim of the author has been to present to the profession a concise discussion of the diseases of these important organs in such a manner that the busy practitioner and the student of medicine have not to read the large and ponderous works on these subjects to gain the desired information. In the subject of treatment, however, no attempt has been made to abbreviate, but the subject has been considered in all its phases as it would be in a larger work. The essential of each topic discussed has been given in a manner that is readily accessible. In the treatment of those subjects that require differential diagnosis, tables have been prepared to render the essential points apparent at a glance. 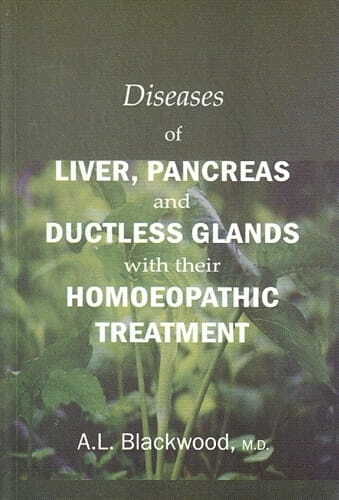 From the cover: Like all Blackwood books it contains the primary facts common to all medical schools which every student and physician must master, together with the homeopathic treatment. The essential of each topic discussed has been given in a manner that is readily accessible. In the treatment of those subjects that require differential diagnosis, tables have been prepared to render the essential points apparent at a aglance.